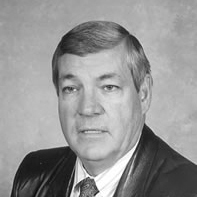 D. Stanley Barnes is a graduate of Shelbyville High School and holds both the BS and MS degrees from the University of Tennessee Knoxville. Mr. Barnes began his teaching career at Gibbs High School in Knox County before moving to Etowah, Tennessee. After two years at Etowah he returned to Knoxville to direct the Holston High School Band.During his seven-year tenure at Holston the band received numerous awards for both marching and concert band and was considered one of the top grade six programs in the East Tennessee Region. In 1970, Mr. Barnes accepted the Director of Bands position at Clinton High School in Clinton, TN. The highly entertaining style that became the trademark of Mr. Barnes brought both regional and national recognition to the Clinton Band.While under his direction the Clinton Band was selected to march in the world famous Macy’s Parade in New York City appearing on all national television networks, and was selected as a feature band on ABC’s “Good Morning America”. Clinton was also selected for and won the “Greatest Bands in Dixie” marching contest in New Orleans, LA. and represented the state of Tennessee as they traveled to England’s New Year’s Day London Parade.With hard work and outstanding leadership the Clinton Band soon began to establish itself as one of the south’s premier symphonic band programs. The band performed at the Tennessee Music Educators Association Convention and two National Band Directors Association Conventions. Perhaps the most prestigious event for the Clinton Band occurred in 1977 when the band performed at the Mid-West Band Clinic. Mr. Barnes concluded his teaching career at Anderson County High School in Clinton, Tennessee where once again he directed this band to new levels of excellence. Mr. Barnes held numerous offices in the many professional organizations to which he belonged. He is a “Honorary Life Member” of the East Tennessee School Band and Orchestra Association and the Tennessee Secondary Schools Band Directors Association.